The Awakening is a huge artworks depicting a 22 meters long (72 ft) giant embedded in the ground trying to get out. "The statue consists of five separate aluminum pieces buried in the ground, giving the impression of a distressed giant attempting to free himself from the ground. The left hand and right foot barely protrude, while the bent left leg and knee jut into the air. The 17-foot (5.2 m) high right arm and hand reach farther out of the ground. The bearded face, with the mouth in mid-scream, struggles to emerge from the earth." 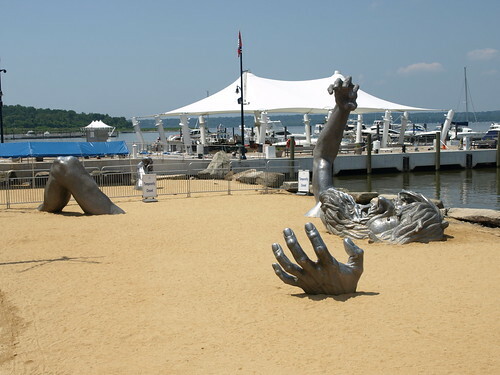 The sculpture unveiled in 1980 is creative work of American artist J. Seward Johnson, Jr. and was originally installed at Hains Point in East Potomac Park, Washington, D.C. 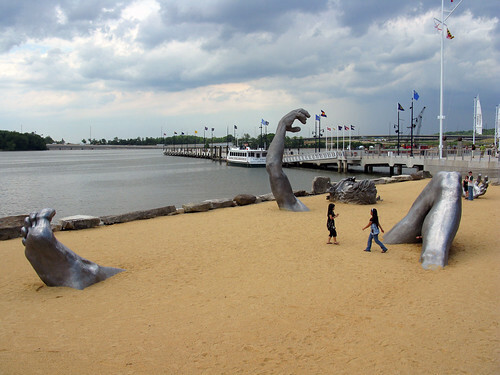 In 2009 it was relocated to the present location at National Harbor, Prince George's County, Maryland, just outside the District of Columbia, where it is installed on a specially built beach along the Potomac River. 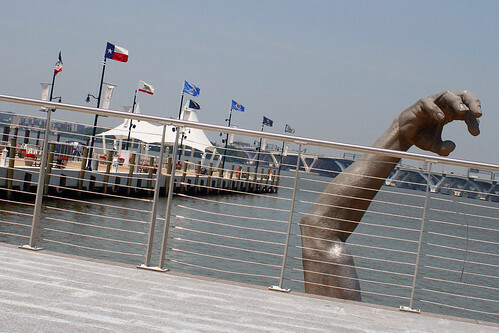 Because of its huge hand, which is distinctly separate from giant's body, the sculpture has been included in "Giant Arms Around The World" collection. 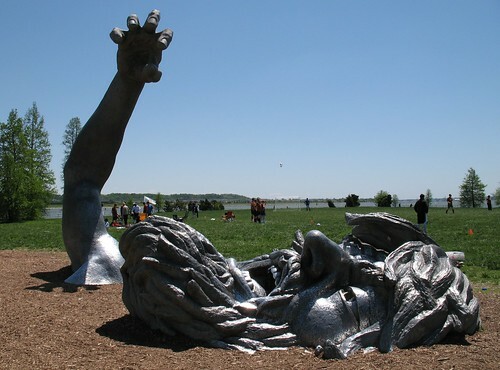 The second Awakening is a replica of the original "Awakening" at Prince George's County, Maryland. It was also created by J. Seward Johnson, Jr. and was unveiled in Chesterfield, Missouri on October 10, 2009. This sculpture is also being included in the "Giant Hands Around The World" collection.